If you’ve ever had a panic attack, you know how distressing they can be. Your heart races, you feel like you’re being smothered, and you feel dizzy and faint. You may experience chest pain, chills, numbness or tingling sensations, and nausea, and you may feel like you’re dying or detached from your body. People who are having a panic attacks can end up in the hospital, certain they’re having a life-threatening emergency. They often don’t realise that they have a real disorder and one that’s treatable. If you have panic attacks, visit your doctor. A number of medications can control the intensity and frequency of panic attacks, and a variety of therapies can help you ward them off before they start. In the meantime, these tips can help you recover more quickly from a panic attack and even prevent it from going full-blown when you feel it coming on. Anxiety attacks cause your breathing rate to increase, raising levels of the stress hormone cortisol in your body. Deep, slow breathing reduces the amount of cortisol on the spot to help you relax. Deep breathing exercises soothe your mind and body and can help you stay calm through a panic attack. During a panic attack, your mind may spin out of control. Take back that control by consciously telling yourself to stop panicking. Remind yourself that this is a panic attack, and nothing else. Count to twenty slowly and out loud to prevent your mind from running away from you. Try to distract yourself. Call a friend, do some dishes, write in a journal or run a bath. If you’re on the go, a colouring book app on your phone can offer a pleasant, creative way to not only distract your mind from the attack but also to calm down. A popular colouring book app featuring elaborate mandalas may be just the thing. Learn more about the Coloring Book for Me & Mandala, a free app that can take your mind off your panic attack. During a panic attack, your muscles tense up, making it harder to relax and remain calm. Making an effort to relax your muscles, can help reduce the intensity of the panic attack and shorten its duration. Start at your toes, tensing them and then releasing the tension. Move up to your legs, hips, abdominals, arms, shoulders, and face. Learning everything you can about panic attacks can help you understand what may be causing them, and it can help you learn to stop them in their tracks or even prevent them from occurring. The Mental Health Foundation and Mind have lots of information and resources to support you. I had a panic attack on the plane once and since then I am afraid of having another one. Itr’ true that breathing techniques can help a lot to calm down. Such good tips. I don’t suffer with anxiety myself but I have close friends that do and I know how hard it is for them! Panic attacks are terrible and they really can make a person feel like they are having a heart attack or dying when they don’t know what is happening is a panic attack. Your tips are spot on, focusing on your breathing, trying to be aware of your surroundings are helpful. Visiting your doctor to explore medication also. I found this article really useful to read as you have shared some great advise and tips. I don’t (thankfully) get panic attacks, but I feel myself just tense & curl up into a ball when my anxiety kicks in. The only thing that helps are those silly little “sleep noise” clips on YouTube; they’re so relaxing, and just staring at the screen with nothing else to do helps SO much. This is a really helpful article. Thank you for sharing. I don’t have anxiety, but I have had panic attacks before. More often than not it’s because I need my inhaler, and I cant find it. Then I panic, which turns into a panic attack, and then that turns into an asthma attack! It is scary! Lovely tips here to combat anxiety. Distracting yourself does work. Great tios and advicw for those who suffer from panic attacks I’m lucky as I’ve not had one before I don’t think! 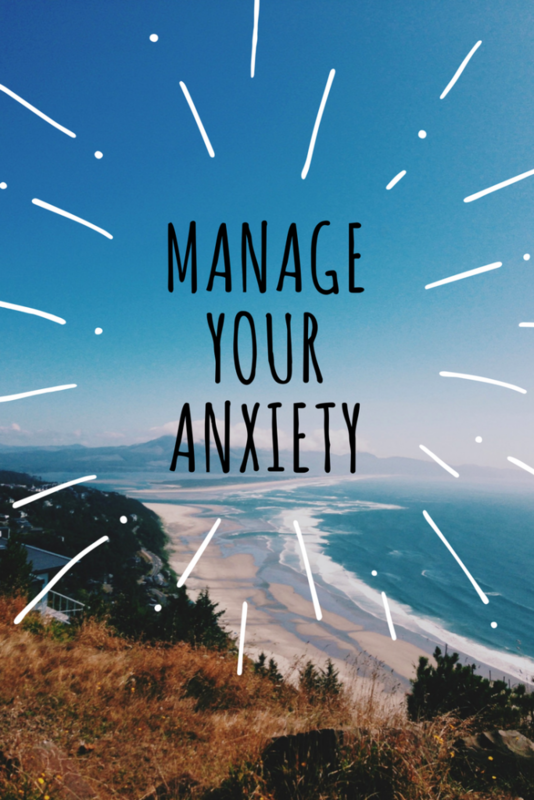 I suffer from anxiety on a daily basis so these tips have given me some great suggestions on how to manage! Lots of great tips. I have suffered from panic attacks for about 15 years and it never gets easier, but I can manage them a bit better now. These are all so important to keep in mind! I hate having attacks but I try my best to keep myself calm and to myself. A nice quiet place is best for me! I’ve not suffered with anxiety or panic attacks but as someone with friends who suffer these are some good tips to remember. Good advice. I find mindful/square breathing to be extremely effective.